A mere 1,000 miles later, they would find themselves on the pristine shores of our sister island of Tortola, the main island of the [British] Virgin Islands (BVI) and home to approximately 30,000 persons. The economy of the BVI is reliant on tourism as the main pillar. 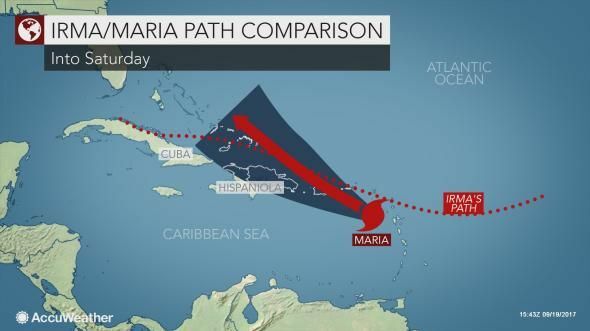 Unfortunately, the VI and most of the Eastern Caribbean were extremely damaged by two of the strongest hurricanes in recent history - Irma and Maria. In fact, Hurricane Irma was the second strongest Hurricane in Atlantic history and the most powerful ever at the time of landfall. For years there have been warnings of the probability of storms of this magnitude and frequency coming to fruition. However, the reality is that there have been countless attempts to dismiss the new norm facing small island states - the new norm of the negative and deadly effects of Climate Change. On my first evening in Tortola, I was blessed to be invited to a very special book signing in an intimate setting which was held at an establishment by the name of Camden Gourmet Market. This establishment, which is located at the Tortola Pier Park, provides healthy, organic food options to persons in Tortola. Discerning locals and residents stood in line to purchase multiple copies of a book that has been the love child of a native Tortolian. Those same discerning locals and residents stood in awe as the author took centre stage and began reading a select segment of the book she conceived and birthed in the 3 months subsequent to the events precipitated by climate change. 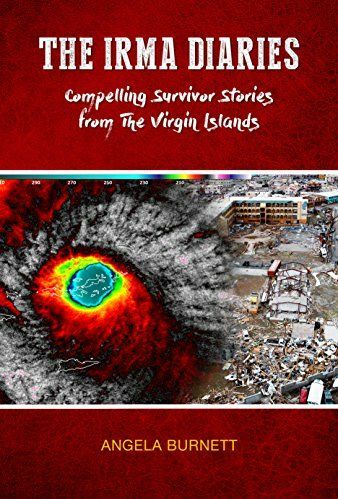 The Irma Diaries serves as a collection of stories of various residents of VI who survived the worst of Hurricane Irma on the 6th of September, captured by the author based on first-hand interviews with the featured survivors and inspired by a higher purpose. Ms Angela Burnett-Penn has taken a great amount of time and effort to carefully capture the experiences and sentiments of those who lived through what can only be described as experiences that serve as a wake-up call for not just the Caribbean region but the entire planet. The Irma Diaries was first available electronically on Amazon in December 2017 and is now available locally in hard copy with the goal of making international orders possible very soon. Text Stock: 100 percent post-consumer recycled paper, Forest Stewardship Council (FSC) certified, processed chlorine free and made with biogas energy. After captivating her audience with a short and spirited vocal reading, Ms Burnett gracefully transitioned to sign books for what could easily be measured as two hours. Such was the interest in this subject that attendees happily waited in the long line, whilst consuming various variations of organic foods provided by the staff of Camden. Among the attendees was His Excellency Augustus J. U. Jaspert aka ‘Gus’ the Governor of the VI, Dr The Honourable D. Orlando Smith, Premier of VI and Dr The Honourable Kedrick D. Pickering, Deputy Premier of the VI. With any luck I will get to interview Ms Burnett-Penn, thus allowing her to share her own words with the world in a subsequent part of “Tales from Tortola VI”.